Students at Increase Miller Elementary created stories with author Kate Klise. MORE. 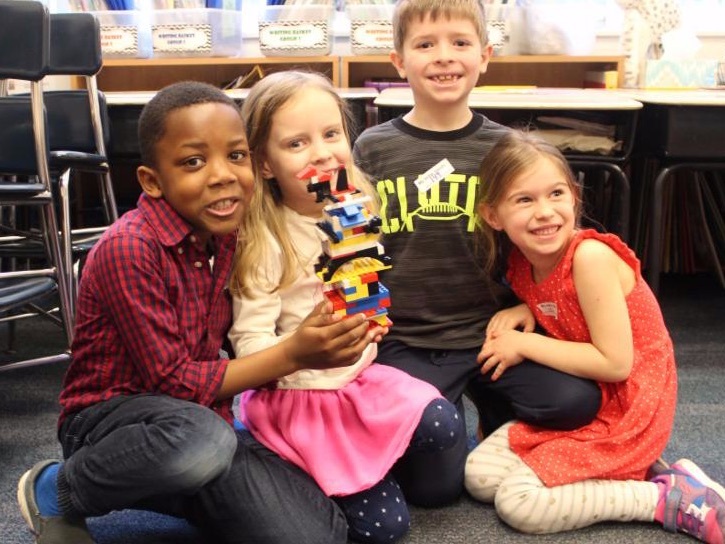 First graders at Katonah Elementary had fun with math as they celebrated 120 days of school. MORE. Kindergarteners at Meadow Pond Elementary performed Mrs. Wishy Washy, an annual tradition that brings the books to life. MORE . What are they watching? 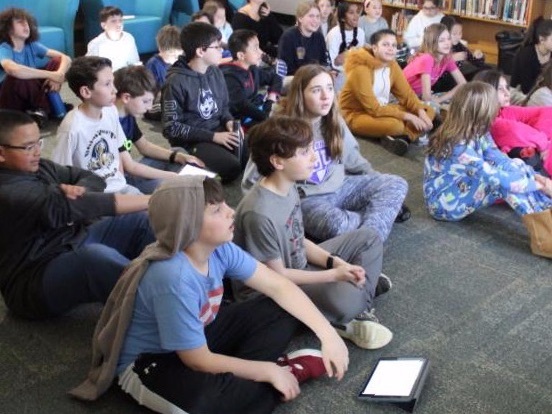 Documentary shorts made by groups of sixth graders in response to reading biographies of famous figures such as Harry Houdini, Pele, and Marco Polo. 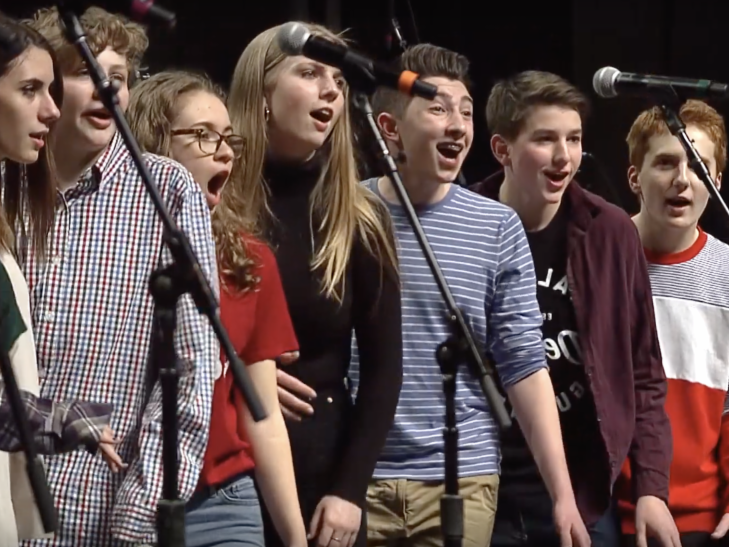 On April 11, John Jay Vocal Jazz and Edgemont High School's Jazz Ensemble--both winners at the Berklee High School Jazz Festival--will participate in a workshop with the University of North Texas Jazz Singers, one of the premiere college vocal jazz ensembles. The day culminates in a free public concert at Edgemont High School at 7 PM. 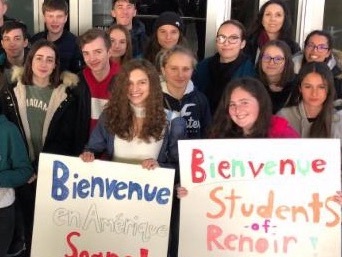 It welcomes the twenty-four exchange students from the Lycée Auguste Renoir, a French high school in Cagnes-sur-Mer, who are visiting for the next two weeks. Participating John Jay students will travel to France in June. 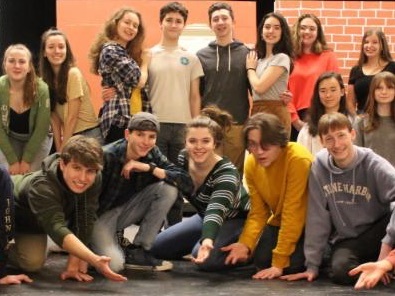 John Jay High School's Theatre Workshop presents their annual Spring Musical--a stunning production of "Guys and Dolls." Enjoy the student art show, "Rite of Spring" in the gallery before the musical! The Opening Reception is April 4. PREVIEW.